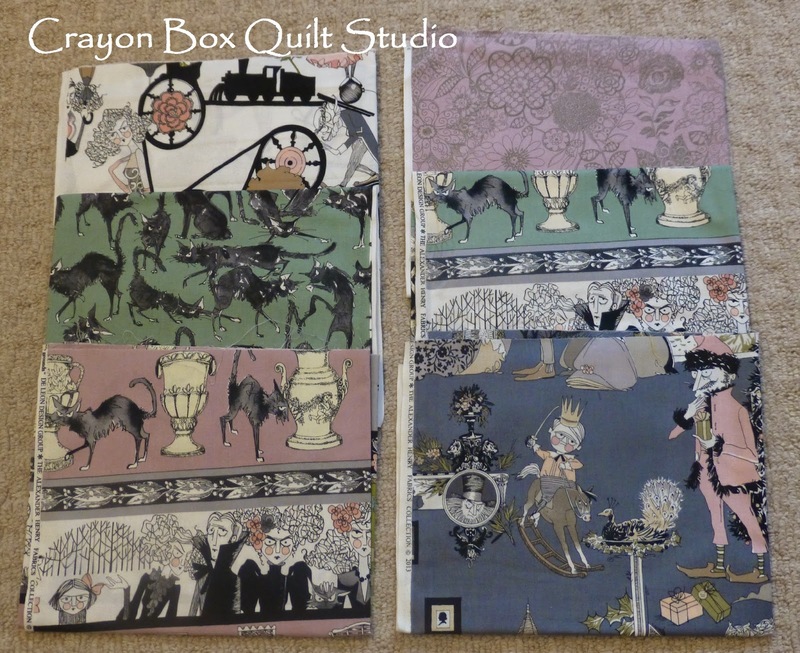 One of my biggest goals for last year was to limit my new fabric purchases and only buy what I really, really loved. I started my plan of resisting fabric that I only Like and instead only buy those that I really Love in 2013 and I'm happy that I've been able to continue that plan again this past year. While lots of people do weekly or monthly stash reports, I don't but I wanted to see how I did for the entire year so I pulled out my receipts (Yes I keep them all, I am an accountant after all) and I made a list....of course. Here is what I purchased during 2014 that was purely new stash additions. 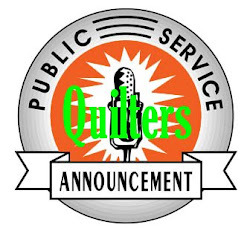 This does not include any fabric that I bought to complete a specific project such as sashing or border yardage, quilt backings or the basic staples such as white solid yardage. 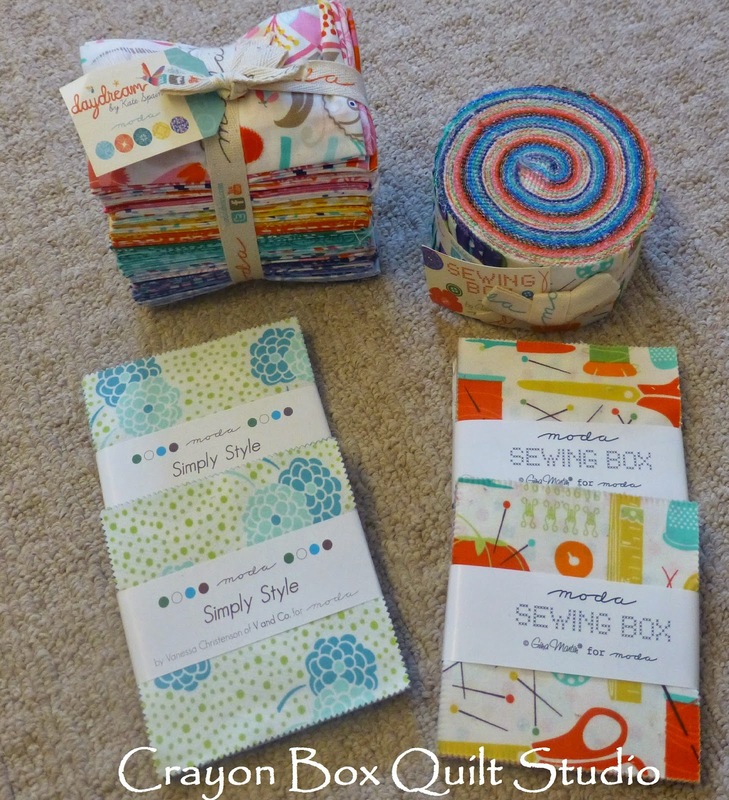 I consider my stash as those fabrics that I have no set plans for yet. In looking back, I found that I bought absolutely nothing until March so these were the 1st purchases of the new year. 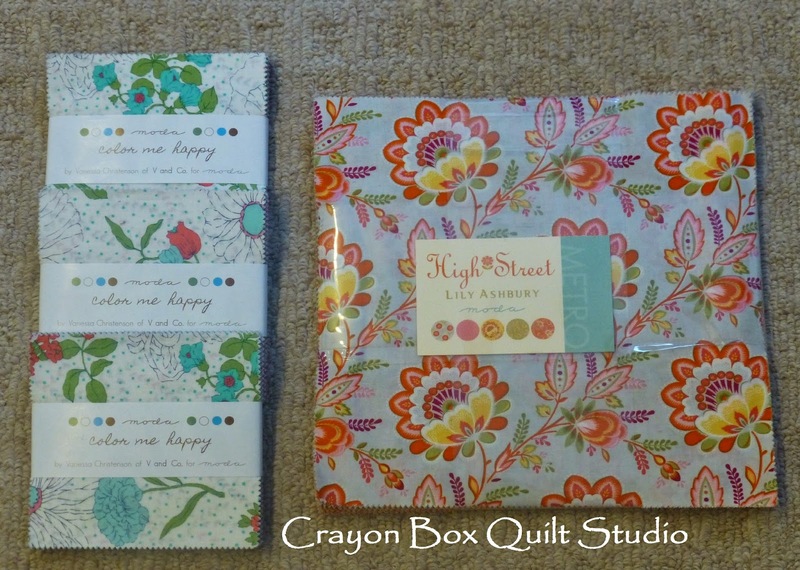 I got a trio of Color Me Happy by V and Co charm packs and a layer cake of High Street by Lily Ashbury. In April I went to MQX East (which was fabulous btw) and wanted to bring back something for the kidlets. Well a quilt show isn't a place where you find many things for kids so I got them these half yard cuts. They may end up being perfect for the backings of their Primary Bee quilts. In May I had a blast meeting up with my friend Liz at the A World of Quilts show in Somers, NY and I was really good and only bought this Fancy Folded Star grouping, tutorial from Moda Bake Shop. I'll be making my set into a small wall hanging instead of a pot holder or hot plate. So that is it for the 1st half of the year. Not bad, not bad at all. The 2nd half of the year brought more new fabrics into the house starting with these beauties. In July my friend Alana and I finally checked out a new fabric store nearby and these just had to come home with me. 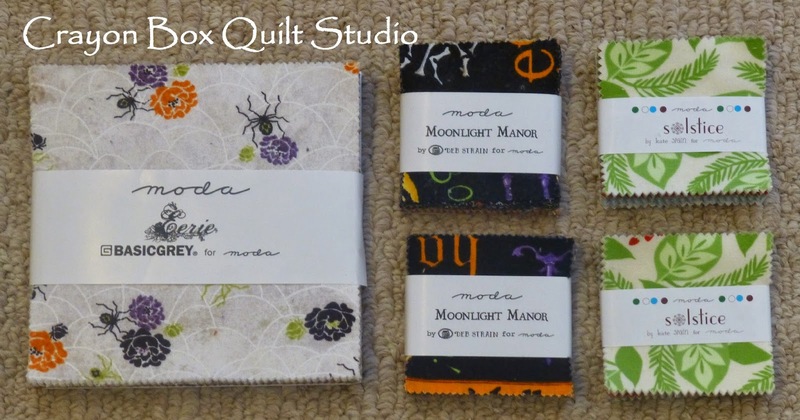 There are 1 yard cuts of Picadilly Lane by Brenda Pinnick for Henry Glass and a quad of half yard cuts of Stonehenge Starry Night by Northcott. In September I caved and got a little more Ghastlies to add to my collection. Since I heard that this was the final year this series would be available, I didn't want to miss out on adding a few of the newer prints to my stash but I was really restrained and only got half yard cuts of each. As you would expect, if Alexander Henry surprises us all and comes out with some new additions to the fun line, I'll just have to get some of those too. 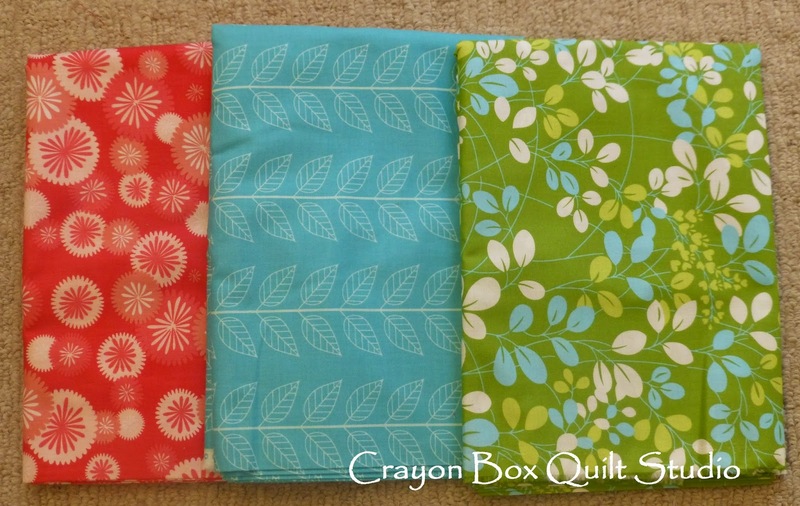 I had also come across an awesome sale on this Simply Color so I bought 2 yard cuts in each of these prints. 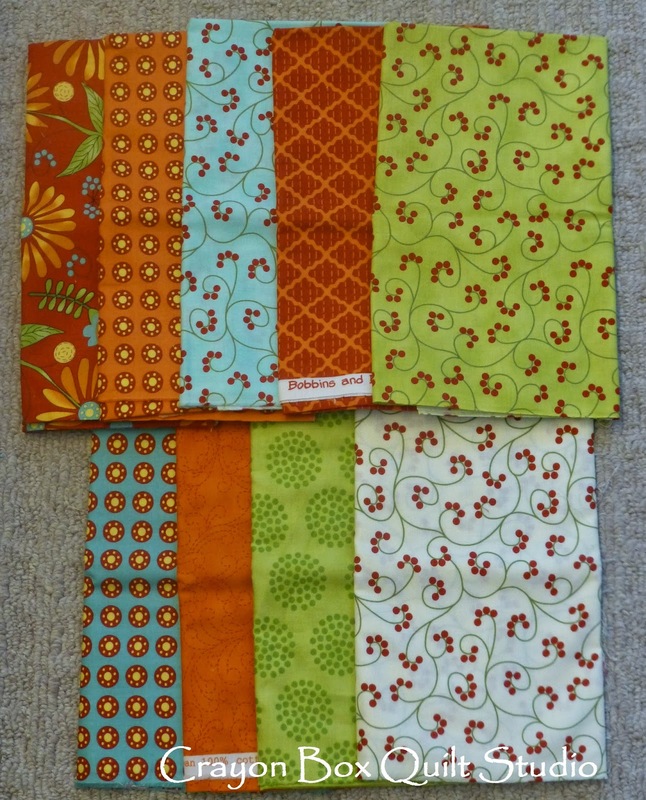 They will be used for a backing for my Color quilt, so technically these aren't "no specific purpose" fabrics. My sister Tina and I attended the Q.U.I.L.T. Schenectady show in October and again I was very restrained and only brought home the Halloween panel and spider web yardage. 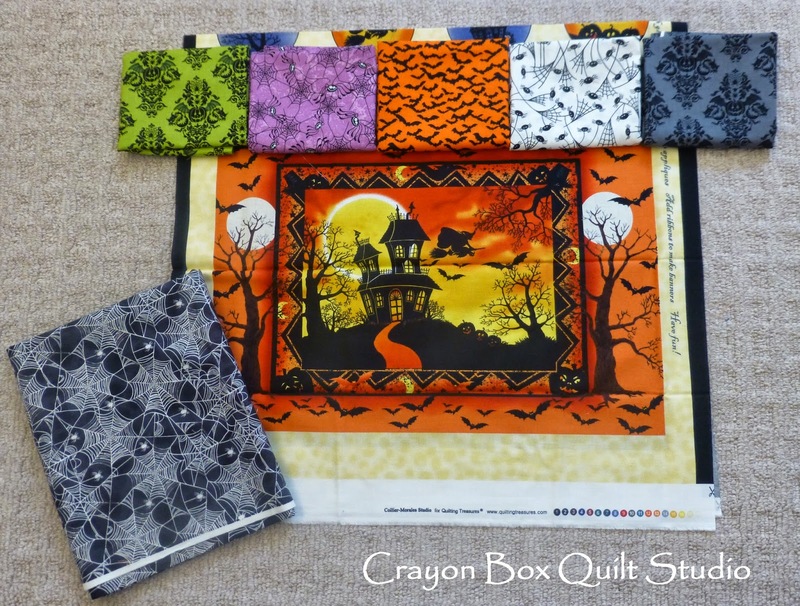 While nearby we also visited the new location of Quilt Bug where I found many Halloween prints on sale that I hadn't seen before so of course I had to get a few half yard cuts for my collection. Craft Town fabrics was having a great sale too in October so I shamelessly bought the Sewing Box by Gina Martin jelly roll and charms, The Simply Style by V and Co charms (to add to the Simply Color and Color Me Happy charms that I already had) and the Daydreams by Kate Spain fat eighth bundle. And lastly, though these really aren't stash fabrics to me since I am designing projects to use these in, during July I bought these Solstice by Kate Spain mini charms, the Moonlight Manor mini charms and the Eerie by Basic Grey charm pack, along with a pair of Social Club by Eric and Julie Comstock that I've already used. So there you have it. 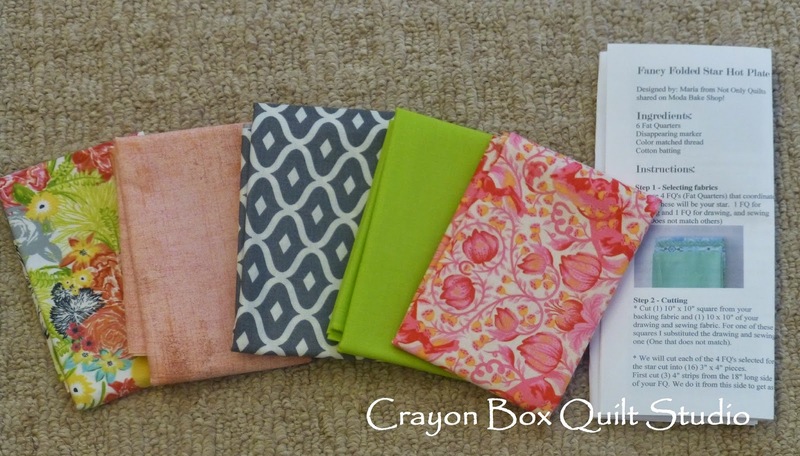 These are all of the stash fabrics that I bought during the previous 12 months. I wasn't as restrained as I could have been but at the same time, I didn't go as hog wild as I could have either. For this new year, I'm going to keep on the same path and only buy new fabrics that I simply can't stop thinking about. I've learned that I don't need a huge pile of big cuts to satisfy my need to have a specific line. A small amount in the form of a few charms or other cuts that I actually turn into something suits me just fine. 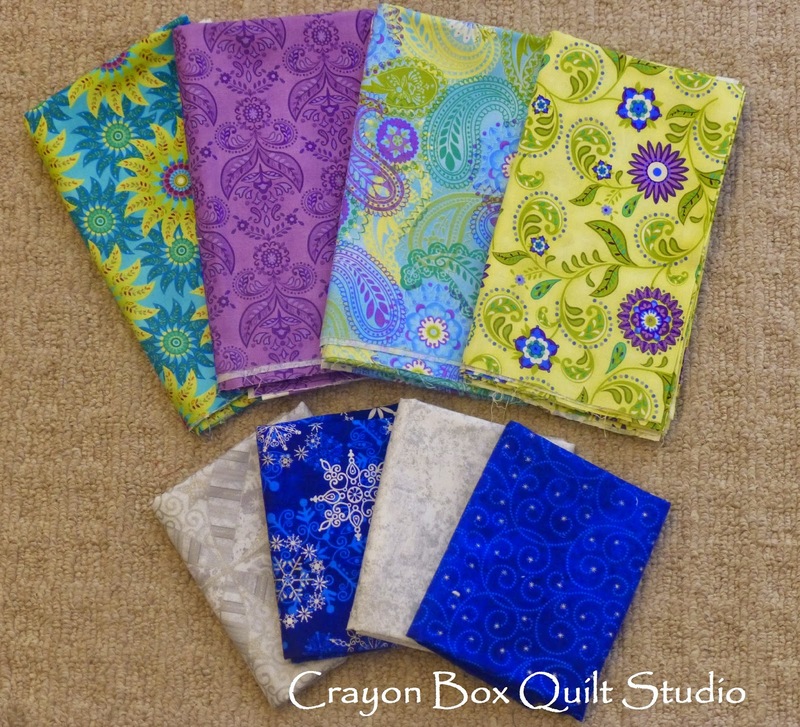 So what are your fabric buying plans for this new year? 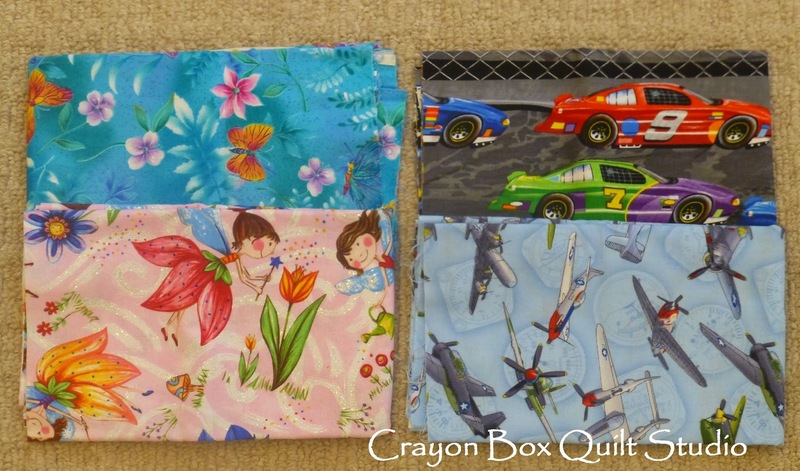 yummy fabrics! did you cut into any of these yet? I'm impressed =) I certainly don't keep track of ALL my pruchases, but I did manage to get rid of a ton of yarn and non-quilting fabric at a yard sale fundraiser. That felt soo good! I have started to buy half yard cuts and now I am realizing the more I have the more confused I get. I lay it out ready for a project but there are too many choices so I just put it back! My time for shopping is January . It is cold, I am in the house and there are too many sales! I need to stop and use. Thanks for the inspiration! Some great fabrics here. Can't wait to see what you whip up ! Impressive. I should go through mine so that I can scare myself straight. I was on maternity leave and I know I got way carried away. I thought there would be a whole lot more Kate Spain in your choices....but all of them are beautiful! Goodness fabric buying is such an addiction for me!! While I try to curb my purchases fabric finds away of inserting itself into my purchases. Yikes. I do like charms and agree that they "satisfy" the desire for a whole line plus it give you more variety then a few larger cuts from a new line. 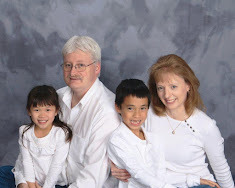 I love all your purchase choice and have made some of the same choices last year.